CrystalClear RapiClear is designed to clear pond water by combining suspended particulate (organic material) via a process known as flocculation. This allows all suspended organics within the water column to be attracted together & easily removed leaving the pond ecosystem sparkling clean. 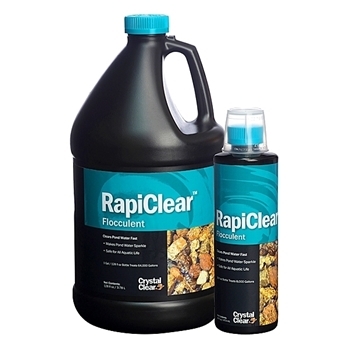 Crystal Clear RapiClear can usually clear cloudy or muddled water within 1-3 hours.